Healthcare Fraud Defense Lawyers - Oberheiden, P.C. Healthcare fraud is a serious offense. Depending on the magnitude and the intent level of the wrongdoing, penalties range from civil monetary damages to imprisonment. More than ever before, the government is prosecuting healthcare fraud, and, for those that find themselves in the middle of a federal healthcare fraud the question becomes: which lawyer should I hire to defend me? This brief blog will explain how the complexity of healthcare laws and regulations and corresponding government investigations should discourage targets of a healthcare investigation from hiring just any lawyer. While every lawyer offers a skillset for certain areas of laws, effective healthcare fraud defense demands more than just being a generalist. Three features should be immediately noticeable when you talk to an attorney to defend yourself against a potential or actual government investigation: (1) a profound understanding of healthcare law, (2) a proven experience with government investigations, and (3) an impeccable track record. First and foremost, the attorney you engage must be profoundly familiar with all healthcare laws. Many healthcare fraud cases operate between fine lines of honest mistakes and criminal liability. Often, this fine line is the decisive factor. A potential client should ask the lawyer how many healthcare clients he or she has represented in the past in the area of the client’s needs. Advising a chiropractor to set up an LLC is different from providing a comprehensive regulatory analysis for a DNA testing facility or conducting an internal audit for a toxicology laboratory. But don’t just stop at theoretical knowledge. While there are a great number of healthcare lawyers, very few of them are trained to negotiate with FBI agents and government lawyers, and even fewer lawyers have ever argued a case in court. 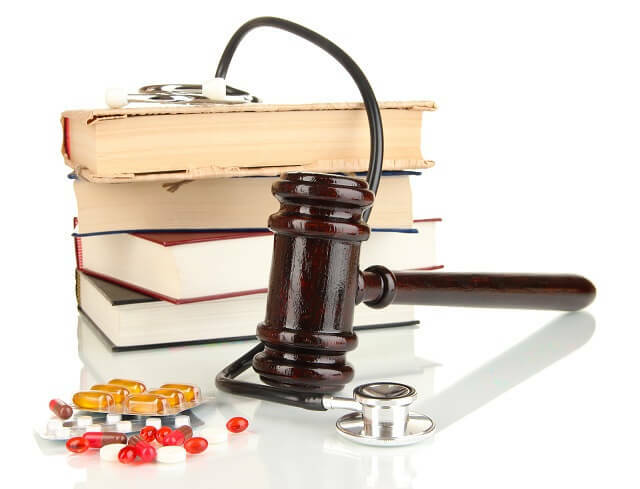 In fact, most healthcare lawyers understand the theory of healthcare law, but lack the practical component of arguing a case at the U.S. Attorney’s Office or the Office of Inspector General. Healthcare law and fraud and abuse investigations operate in a small circle of lawyers and government officials. Attorneys frequently run into the same FBI agents and work routinely with the same prosecutors and appear before the same judges. This experience may help the lawyer to better anticipate the government’s next step, and may ease settlement negotiations with the government. After all, if your lawyer kept his or her word in the last case, the prosecutor will remember and trust him or her in this case. People talk, and lawyers at the U.S. Attorney’s Office and healthcare fraud defense attorneys are no exception. Reputation and past interactions with the government can make a decisive difference, especially in areas like healthcare investigations where the line between mistake and criminal misconduct can be very thin at times. Finally, before hiring an attorney to represent you to maintain your freedom, you should find out what the lawyer’s track record is in cases similar to yours. Being a great general criminal defense lawyer is wonderful, when you are accused of assault or robbery. Instead, you should ask for the attorney’s track record in healthcare matters. What was the outcome in previously handled healthcare fraud cases? Was the lawyer able to avoid criminal charges? How many healthcare fraud cases were dismissed under your lawyer’s leadership? At Oberheiden, P.C., we have advised many hundreds of healthcare clients from virtually all sectors of healthcare law, including physicians, toxicology laboratories, pharmacies, compound pharmacies, DNA testing centers, in-patient drug rehabilitation centers, hospitals, surgery centers, physical therapy groups, healthcare marketers, to name just a few. In addition to our healthcare advisory background, Oberheiden, P.C. is comprised of former government officials, senior healthcare prosecutors, chief coordinators and team leaders of the Medicare Fraud Strike Force. Our attorneys have successfully represented physicians, business executives, and healthcare entities against investigations by the Department of Defense (Tricare Fraud), the Department of Justice, the Department of Labor, the Department of Health and Human Services, the Office of Inspector General, the FBI, the DEA, the U.S. Secret Service, and other agencies. Here are some of our recent outcomes. Curious how a former federal healthcare prosecutor assesses your case? The attorneys of the Oberheiden, P.C. are hired to defend healthcare providers against fraud accusations in government investigations across the country. Call us today and speak directly with one of our experienced attorneys at (800) 810-0259.